SAN FRANCISCO (Reuters) - Drivers for ride-hailing app Lyft will no longer face the imperative of owning a car under a rental program launched on Monday with General Motors Co. The initiative is the first to come out of a two-month-old partnership between the automotive giant and ride service upstart, and is Lyft's latest move to get more drivers on its app as it continues to trail ride-hailing behemoth Uber. To kick off the program, GM will provide a fleet of 125 Chevrolet Equinox cars to drivers in Chicago by the end of the month, the companies said. "We have now made car ownership optional on both sides of the market," said Lyft President and co-founder John Zimmer. Passengers don't need to own a car if they use Lyft, he said, and now drivers do not need to own a car to work for it. Drivers can rent the cars for up to eight weeks. Depending on how many rides drivers complete, the cost will range from $99 a week plus 20 cents per mile to free for drivers who complete at least 65 trips a week, Zimmer said. The Express Drive program will also roll out in Washington, D.C., Boston and Baltimore by midway through the year, the companies said. Lyft and GM will pay for maintenance and insurance. 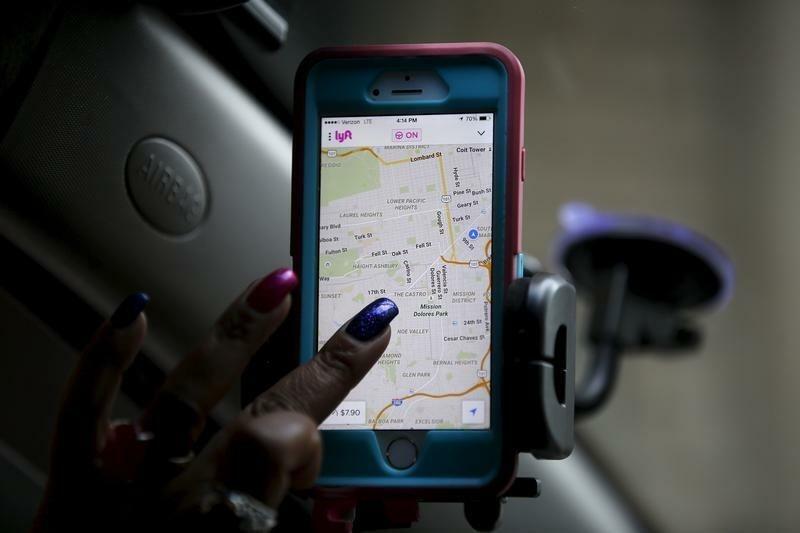 Lyft had more than 150,000 applicants from the four cities who were not approved to drive because their cars did not meet requirements such as having four doors. Zimmer said there is no revenue sharing between the companies, but declined to offer more details about the program's financial structure. Lyft has tried car rentals before, in October rolling out a program through Hertz. Uber also offers car leasing and rental programs. The program with GM is part of a $500 million investment the auto giant made into San Francisco-based Lyft in January. The partnership's larger focus, however, is to develop an on-demand network of self-driving cars, an area of research that tech companies such as Alphabet Inc's Google and Uber Technologies Inc [UBER.UL] and auto-makers including Ford Motor Co have devoted resources to in recent years. Both companies say the rental car program is the first step toward building a network of autonomous vehicles because it will establish the infrastructure to house, maintain and organize a large fleet of cars.